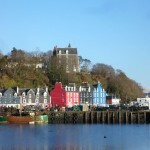 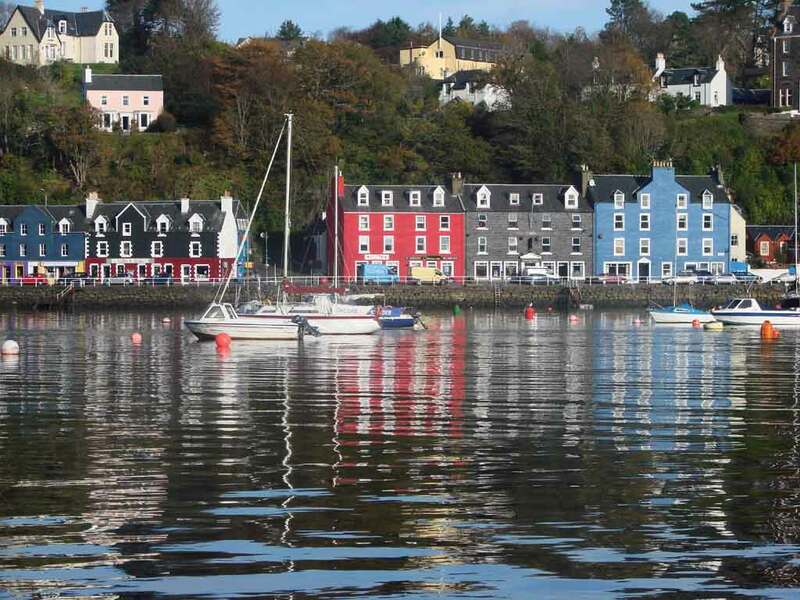 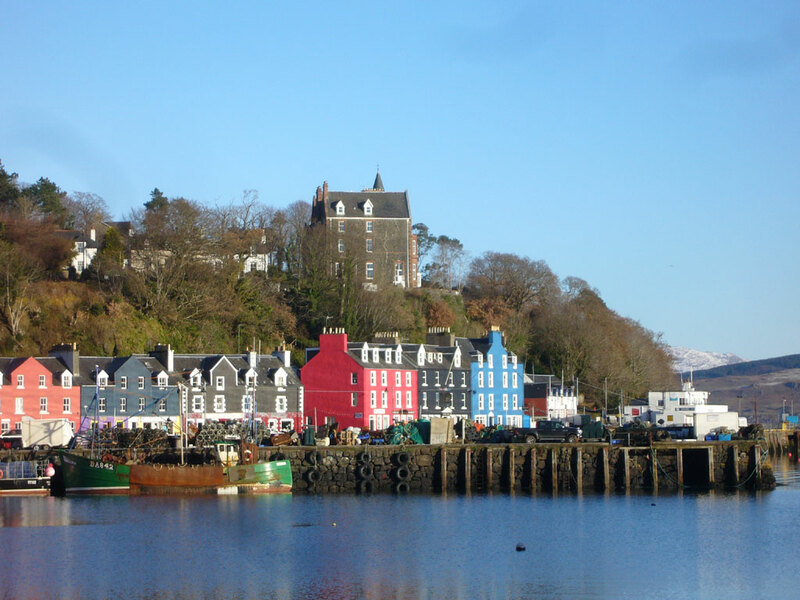 Tobermory was built as a fishing port in the late 18th century and is now the main village on Mull. 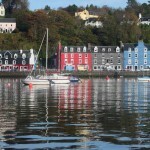 It is a picture-postcard of a place with the brightly painted buildings along the main street to the pier and the high woodland-fringed hills surrounding the bay. 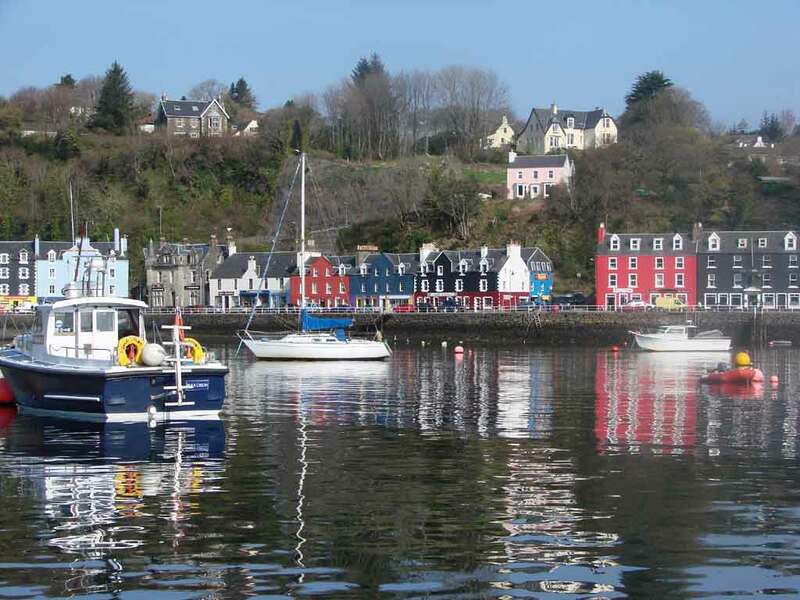 The village has a good variety of shops, hotels, and other accommodation as well as being the administrative centre for the island. 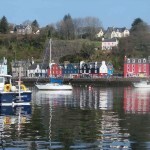 The harbour is always busy with fishing boats, yachts and the ferry to and from Kilchoan.